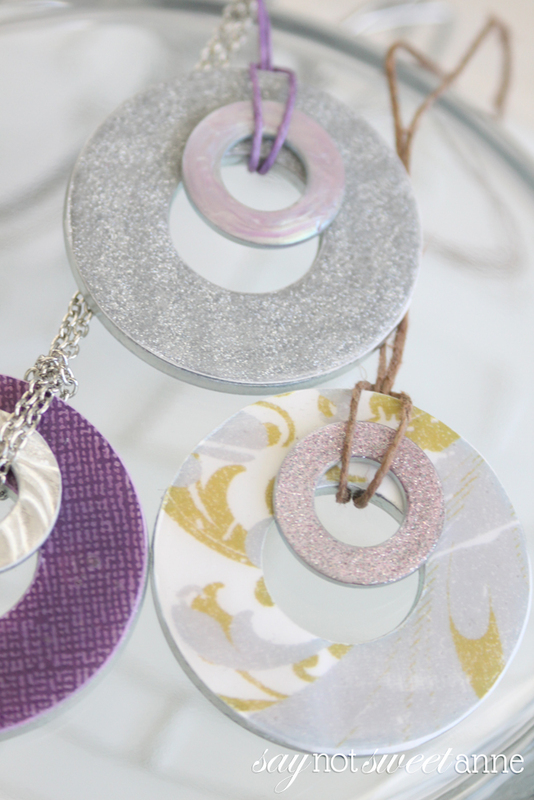 I’ve talked before about projects that are all over Pinterest and other social channels. They are the type of thing that I tuck away into my mental file and hope to make for myself one day. They seem almost silly to share as a tutorial, since anyone can Google their way to the same result. Or can they? 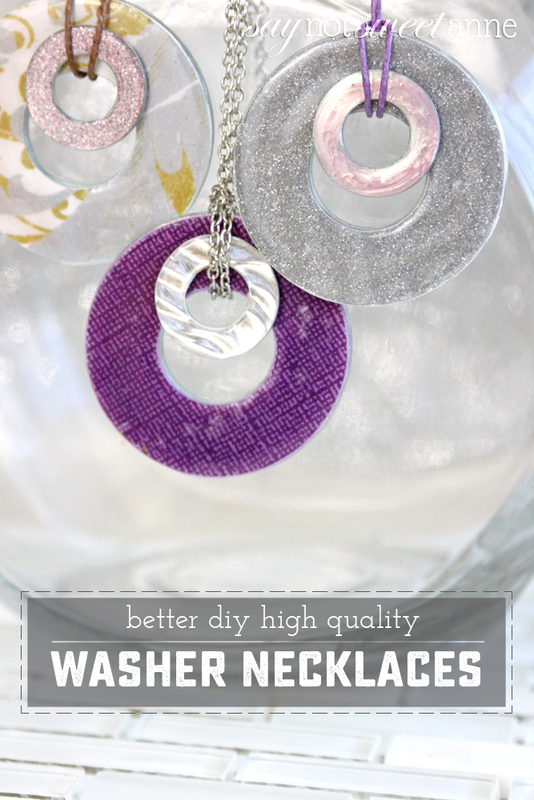 One of my favorite things to do is sort of “perfect” a long standing concept, like I’ve done with these DIY Washer Necklaces. 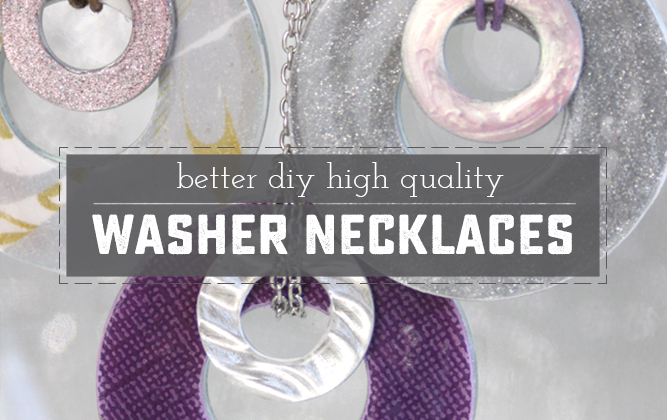 I chose interesting and metal-like papers, paired two different sizes together, and used sandpaper to create a seamless edge on my DIY Washer Necklace. It isn’t a huge departure from the hundreds of other methods I’ve seen, but the result is a bit more refined and high-end looking in my opinion. Try it for yourself and see! Papers to cover the washers. 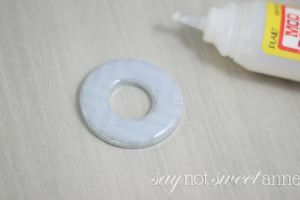 Start by thoroughly cleaning your washers to eliminate any oils or dirt. 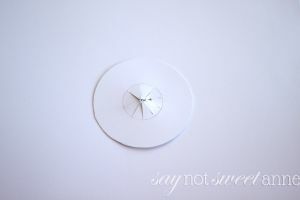 Then, cut a rough circle out of your chosen paper and glue it to the washer and let dry. 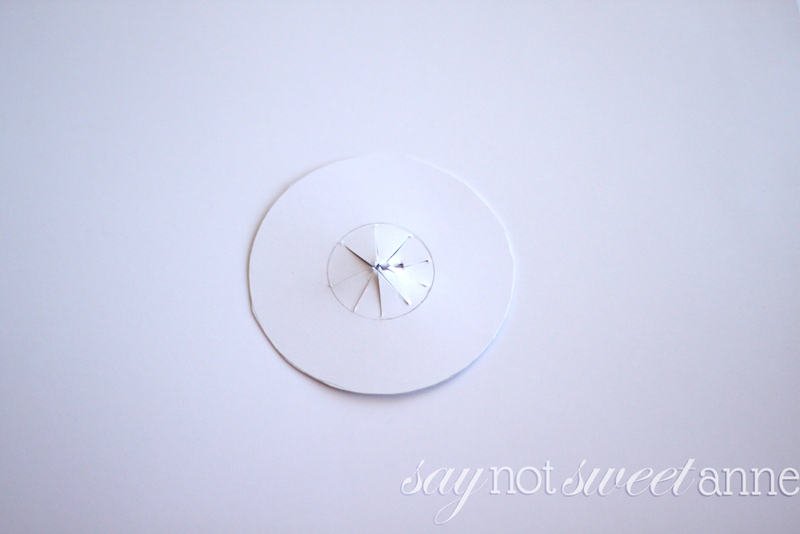 Using the scissors, trim the excess as far as you can. 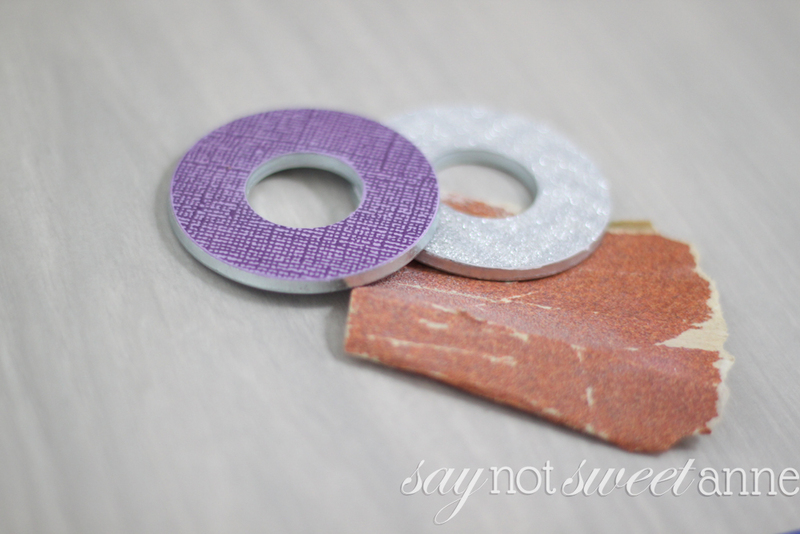 Follow up by using sandpaper to sand away any remaining excess paper. This creates a perfect fit on the washer. Next, add your Dimensional Magic or nail polish. The Dimensional Magic goes on opaque but dries clear. It is one of my favorite coatings. 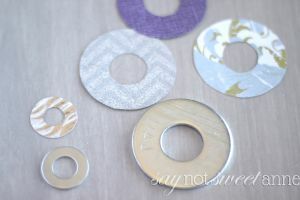 For the smaller washers, I used nail polish to get a gem like effect. 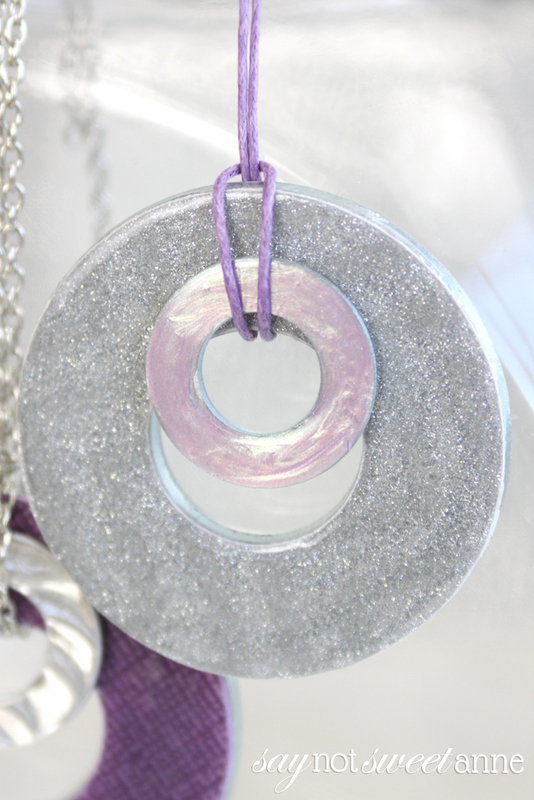 Loop your cord or chain around your pendant. Voila! That’s it. It is crazy easy! These necklaces might not be a new concept (kudos to whoever thought it up first!) but I have to say I’m really proud out how refined and upscale mine turned out. 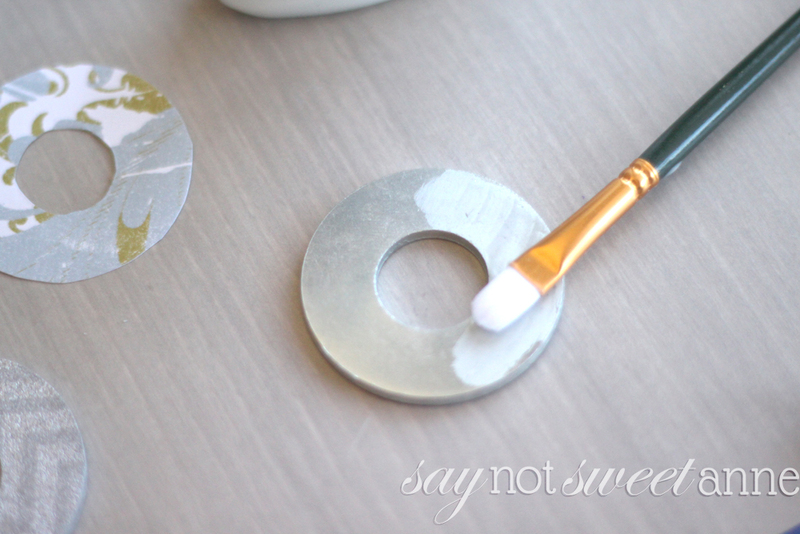 There are no sharp edges, no grease stains from the washer, and the Mod Podge really gives them a thick gloss. What ubiquitous projects have you tried for yourself lately?